It’s that time of year when we “fall back” and gain an extra hour of sleep here in America. You will understand why Americans (except for the citizens of Arizona and Hawaii) change their clocks twice a year. The original reason for daylight saving time was to give farmers an extra hour of sunlight to work in the fields during the summer time. Some people claim that it also saves energy. Basically, we change the time on the clock by one hour. We change our clocks twice a year. We change it once in the spring, and once it the fall. The change takes place at 2:00 AM. On the first Sunday of November, at 2:00AM, we change our clocks back one hour. This means at 2:00 AM, we reset the clock back to 1:00AM. We go back one hour. November is in the fall, so we set our clocks back one hour. On first Sunday in March, we change our clocks forward. This means at 2:00AM, we “skip one hour and it becomes 3:00 AM. Isn’t that weird? March is in spring, so we set our clocks forward one hour. 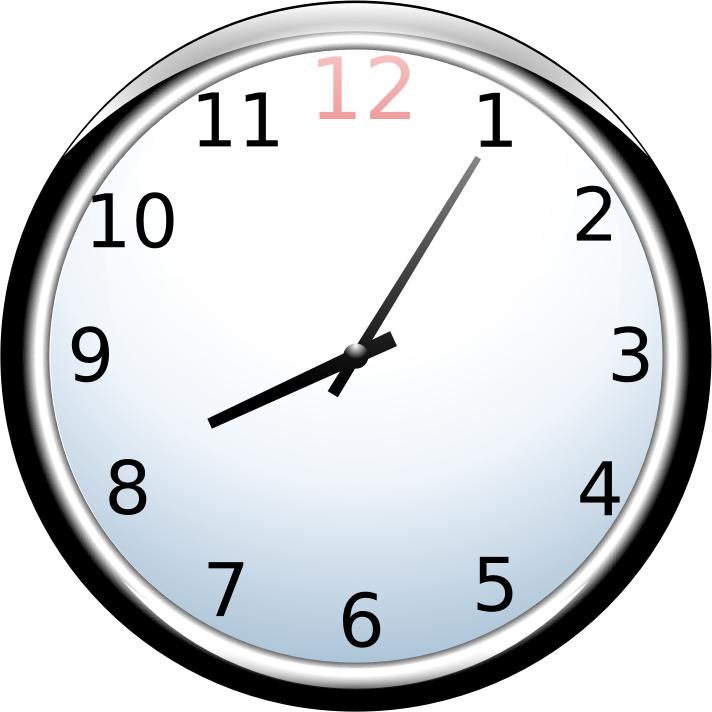 The states of Arizona and Hawaii do not observe daylight saving time. The other 48 states do. Daylight saving time in America is controversial — some people love it, but some people want to get rid of it. Do you think daylight saving time is a good idea, or a bad idea? Please let me know in the comments! As an English learner, you most certainly know about Halloween. So while most English teachers talk about Halloween, I will tell you something unique in American culture that happens the night before Halloween. What is Mischief night, you ask? Mischief Night happens every October 30th, the night before Halloween. So every year, on the night before Halloween, some teenage kids go out and cause trouble — usually some pranks or minor vandalism (damage). They sometimes smash pumpkins, throw toilet paper through people’s bushes and trees, and even throw eggs at cars. Policemen are on high alert patrolling the streets to try to catch these vandals. This all sounds scary, but the trouble is actually very rare, and usually it’s all in innocent fun. The damage caused in usually minor (small). American people usually leave their pumpkins or jack-o-lanterns outside by their front door during the Halloween season, and so sometimes people steal the pumpkins and throw them to the ground, breaking into pieces everywhere. My intention of this post is not to scare you, just to tell you about this Halloween custom you may not have heard of. If you are visiting America during this time, it’s not scary, and chances are, nothing will happen to you or your property. Besides the occasional toilet paper hanging from a tree, or smashed pumpkin, nothing ever happened to me, my family, or my friends at school. In fact, I only knew one person who had trouble on Mischief Night, and he lived in a pretty crowded area near a busy road and a popular night hangout for kids. Sadly, almost every year growing up, something happened to his car, or house. I felt bad for his family. Every Halloween Day at school, he’d tell my friends and I what happened; usually it was eggs thrown at his parents car. I never participated in Mischief Night as a kid. None of my friends did, either. But a small percentage of bored kids do indeed go out and egg houses and throw toilet paper in trees. Smashing pumpkins is common because they break so easily. Mischief Night is a Halloween tradition for some trouble makers. Usually the trouble is innocent, and the next night, everyone is happy to go trick-or-treating. What do you think of Mischief Night? Is it just some kids having some harmless fun? Or do you think they are mean for damaging others’ property? Do you have any weird traditions that take place the night before Holidays in your country? Let me know in the comments section. And don’t worry, Halloween is an exciting time, and as I said, it’s really rare for someone to wake up with eggs thrown at their car or their pumpkin smashed. Feel free to share this post with your friends to teach them a new thing about the Halloween season. Recently, I did a post on running. So today’s theme continues with the verb “run” but in a different way – phrasal verbs. Here are 8 phrasal verbs that contain the word “run”. They are running after the ball. Real world sentence: We ran after the dog. Real world sentence: Kids are running amok at the playground. Real world sentence: We just let our dogs run wild at the dog park. Real world sentence: Could you run that by me again? I didn’t understand. Real world sentence: I ran the plan by our boss and he said it’s a good idea. Real world sentence: I ran into Jeremy at the Starbucks in Times Square. The players ran into each other. Real world sentence: I ran into a problem. Real world sentence: I ran into a brick wall. Donald Trump runs for president. Real world sentence: Run for cover from the storm! Real world sentence: Donald Trump is running for president. Real world sentence: The river is running over its banks. Real world sentence: I accidentally ran over his foot with the car and we had to take him to the hospital. The store ran out of supplies. Real world sentence: The car ran out of gas. The team ran out of steam and lost the game. If you are serious about mastering phrasal verbs, check out my phrasal verb eBook by clicking the image below. Do you know of any other phrasal verbs with run in them? Comment below. Also, feel free to share this on Facebook and Twitter! Have you ever heard the phrase “behind the scenes” and wondered what it means? This post explains what behind the scenes means. You will know when to speak this phrase and it what situations. There are several meanings of behind the scenes. They are all similar. The actors did lots of work behind the scenes, such as changing costumes and moving props. Right now, hundreds of staff members are working behind the scenes for both Hilary Clinton and Donald Trump. Jessica is working behind the scenes preparing for her big speech. Notice how these meanings are all very similar. And as I’ve said before, the best way to learn new phrases is through context. So I think the example sentences above really helped you to understand context. Today’s post was short, but sweet. It’s a very useful idiom phrase to know. Don’t forget to get this idiom, and more, in my free eBook, 101 English Idioms for Professionals. Currently, I am working behind the scenes on my YouTube channel and the audio version of my book, 200 Powerful Phrasal Verbs and Slang Phrases. Use “behind the scenes” in a sentence and I will correct the grammar for you. Please do this in the comment box. Hurricane Matthew is currently all over the American news. Since this is relevant news, I thought it would be a good idea to give you some interesting hurricane facts in English. 1. What is a hurricane? In the center of the hurricane is the eye. A hurricane is a violent storm with strong winds. It is usually in the shape of a circle, and in the center of the storm is a calm area called the eye of the hurricane. It is called the “eye” because it looks like a human eye. You can see the eye of the hurricane in the picture to the right. Another name for a hurricane is a cyclone because of its unique shape. Hurricanes normally occur in the southeastern area of the United States, as well as in Mexico, Central America, and the Caribbean islands. Hurricane Alley is the name for the area where hurricanes occur. Hurricane season is the time when most hurricanes occur. Hurricane season begins on June 1st and ends on November 30th of each year. 3. How do hurricanes get their names? Hurricane names are in alphabetical order. This means that the first hurricane of each year begins with the letter “A”. This means that for the hurricane season of 2016, Matthew is the 13th hurricane to form. The first hurricane of 2016 happened in January. It was a category one hurricane called Hurricane Alex. Note: January is not during hurricane season, but hurricanes can form any time. An interesting fact about hurricane names is that they alternate (change) between men’s and women’s names. The see all the names of the hurricanes in 2016, click here. 4. What are “categories” of hurricanes? Think of a category of a hurricane as a grade or measure of how strong or dangerous the hurricane will be. There are five categories of hurricanes. A category one hurricane is not too strong, but a category five hurricane is the strongest, most powerful, and most dangerous. Hurricane Matthew was once a category five hurricane(!) but it has since been downgraded, meaning it has gotten weaker. Also, the wind speed determines what we call the storm. A storm with wind less than 39 miles (63 kilometers) per hour is called a tropical depression. A storm with wind above 39 miles (63 kilometers) per hour is called a tropical storm. A storm with wind above 74 miles (119 kilometers) per hour is called a hurricane. And currently, Hurricane Matthew is a post-tropical cyclone. This is just an official term meaning that the storm was formerly a hurricane and is now broken up. It can still have high winds and be dangerous, even though it is no longer a hurricane. 5. What about typhoons and cyclones? Actually, typhoons, tropical storms, hurricanes are basically all the same! They are all officially called cyclones. They all have the same storm shape. In other words, a hurricane is a cyclone. A typhoon is a cyclone. A tropical storm is a cyclone. The only difference between all of these storm names is where they occur. Hurricanes occur in areas around the Southeastern United States, like the state of Florida. Typhoons are cyclone storms that usually occur in the North Pacific Ocean. Typhoons usually occur in Asia: The Philippines, Korea, Japan, etc. In other parts of the world, like in the Indian Ocean, they are called tropical cyclones. Great job! Now you know that a hurricane is just a cyclone that occurs in a certain area–like the Caribbean Sea. Now you understand that a category two storm is weaker than a category four storm. And now you know what the name of each hurricane means. The names go in alphabetical order, and alternate between a boy’s name and a girl’s name. Today’s post is about running. If you are interested in running, today’s post is for you. If not, check out the other posts on my blog here. A road race is simply an organized running event. Road races are held outside, and there are usually lots of runners who participate. There’s a start line, a finish line, and sometimes there is music. It’s an exciting event. Road races are usually held on weekends, like Saturday or Sunday. A lot of times the course goes along a road, or in the park, etc. A 5 kilometer race is simply called a “5K”. Example Sentence: I ran a 5K yesterday. A 5K is a good beginning race, lots of people can run this race with minimal training. Some people even just walk. Because of the short but good distance, 5Ks are very popular events held very often. A 10 kilometer race is simply called a “10K”. Example Sentence: What is your fastest 10K time? A 10K is twice as long as a 5K, so lots of people can train for this race, but sometimes people walk. A half marathon is 13.1 miles, or about 21 kilometers. Example Sentence: I ran a half marathon in April. Lots of serious runners train for half marathons. They are usually bigger events than a 5K or 10K. Me after a half marathon. A marathon is 26.2 miles, or about 42 kilometers. Example Sentence: One of the most famous marathons is the Boston Marathon. A marathon is really far! It takes most people over 3-4 hours to run a marathon. Some people call it a full marathon to distinguish it from a half marathon. An ultramarathon is any race that is longer than a marathon. Example Sentence: David Goggins ran the Badwater 135 ultramarathon, which is 135 miles. Now you know the real names of some of the common road races in English. If you have an English speaking coworker who says he runs 10Ks, now you understand was he or she is talking about. Do you like running? Have you ever run a 5K, 10K, half marathon, marathon, or ultramarathon? Please tell me about your races in the comment section! Here is a list of some of the most common prepositions in the English language. I remember (somehow!) in 7th grade English class, I had to memorize this exact list of common prepositions. I don’t always recommend learning English by memorizing, but in this case, if it worked for me in 7th grade (many many years ago!!!) it should work for you, too. There are about 150 prepositions in the English language but these ones are the most common. As I said, I learned these exact 30 prepositions in American grammar class in the United States. You will learn and easily memorize 30 of the most common English prepositions. Memorize Group one (about, above, across, after, against. among). Say them out loud about five times to yourself or your partner. Once you think you know them, move on to the easiest group (around, at). Then continue to group three, and so on. Repeat this for a few days, and you’ll never forget them. Now you know some common prepositions!